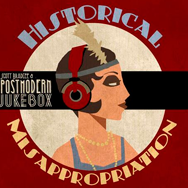 ‘Historical Misappropriation’ boasts the debut of several PMJ favorites: Morgan James (with a jaw-dropping ‘70s soul performance of Maroon 5’s “Maps”), Von Smith (crooning a heavenly American Bandstand-ready “Rude”), and Arianna Savalas (bringing her playfully sultry style to Blackstreet’s “No Diggity”). 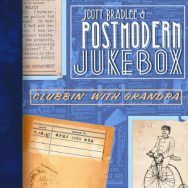 An album that provided a much-needed jolt of Bradlee’s nostalgic irreverence at a time when both sides in the contentious election were looking fondly back – some to a time when America was Great, others to a time when our politics seemed saner. 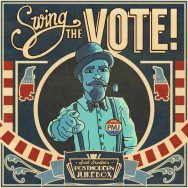 PMJ called in their first star vocalist, Robyn Adele Anderson, to jazz up Gwen Stefani’s “Hollaback Girl” in Benny Goodman fashion, and Rick Rolled the country with an old-school soul take on “Never Gonna Give You Up” featuring Clark Beckham. 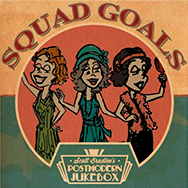 Forget Tay Tay’s #Squad; PMJ has been building their multi-talented family since the beginning, and ‘Squad Goals’ shows off their dazzling range. 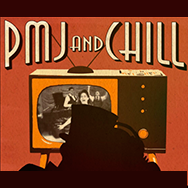 ‘PMJ and Chill’ brings Bradlee and company back to the present day (well, as much as possible for this retro-by- nature crew) with a sweet soul cover of Adele’s ubiquitous “Hello,” a jolt of infectious Motown energy on Justin Bieber’s “Sorry,” and a vintage “Hotline Bling” with Cristina Gatti singing about technology that was decades in the future when such velvety jazz tones were last in fashion. Finally, Nicole Atkins helps the group bid a bittersweet farewell to rock icon David Bowie with a tender “Heroes” that reappeared in a Heineken anti-drunk driving PSA. 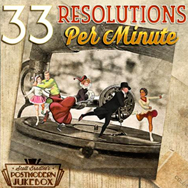 PMJ rang in the new year of 2017 by looking back at the last few decades of popular song (and looking back even further still from there) on ’33 Resolutions Per Minute’, which features some of the biggest hits of the ‘80s, ‘90s and ‘00s re-imagined through Bradlee’s time-twisting lens. 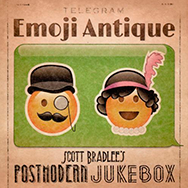 American Idol star and singer-songwriter Haley Reinhart’s swooning torch song rendition of Radiohead’s loser anthem “Creep,” and the Andrew Sisters-inspired re-imagining of “All About That Bass” that corralled three of our favorite singers – Reinhart, Morgan James and Ariana Savalas – into one knockout trio, along with a few well-placed low notes from bassist Casey Abrams. 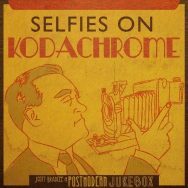 ‘Selfies on Kodachrome’ arrived as Bradlee was leaving New York and just as the group was poised to hit the road and reach new audiences around the world. 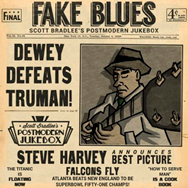 And in a song that time-skips twice, taking its material from the ‘80s and its inspiration from the ‘40s, Sara Niemietz’s impeccable swing-era version of the Talking Heads’ “This Must Be the Place (Naïve Melody)” might convince David Byrne to trade in his famous Big Suit for a zoot suit. 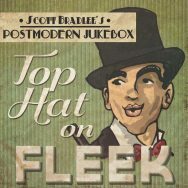 ‘Top Hat On Fleek’ was released just prior to PMJ’s enormously successful 2015 NorthAmerican tour and focuses on songs that allow millennials to engage in some nostalgia of their own (rendered, of course, in styles that would do the same for the parents and grandparents (and maybe even great-grandparents). 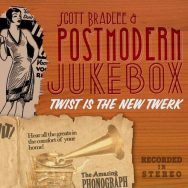 PMJ’s first album, ‘Twist Is The New Twerk’, opens with a song that could serve as the project’s mantra: “We Can’t Stop,” Miley Cyrus’ celebration of an inhibition-shedding spree rendered in a ‘50s doo-wop style by pin-up fashioned singer Robyn Adele Anderson. 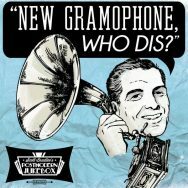 “New Gramaphone, Who Dis?” isn’t just a handy excuse for “losing” someone’s number (especially when you’d rather stay home spinning your 78s – or listening to PMJ). 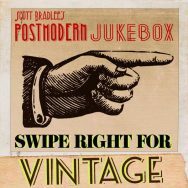 PMJ founder Scott Bradlee wraps things up beautifully with a solo piano version of “City of Stars” from “La La Land.” You’ll definitely want to hang on to these dozen new contacts. Trust us – we’ll pick up when you call.